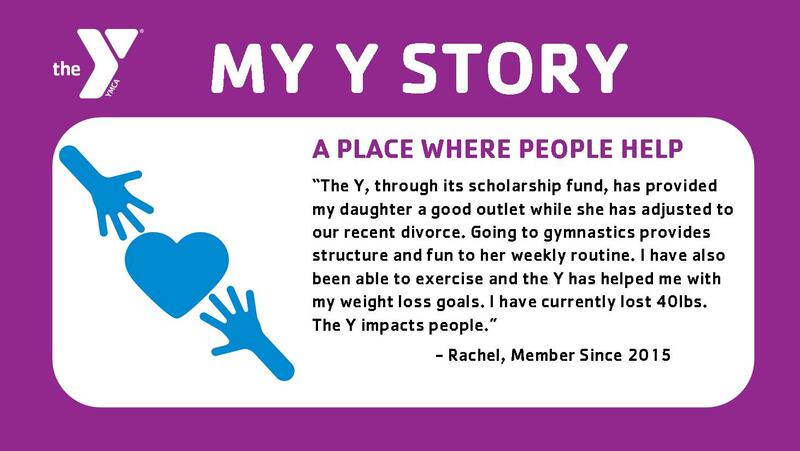 The Y makes strengthening our communities our cause. We do this by offering affordable childcare to families, providing youth sports programs to children of all ages, helping adults who suffer from arthritis, showing teenagers the importance of serving our neighbor through volunteer work, teaching 2nd graders in our county important water safety skills, and through so many other programs that promote a healthy spirit, mind, and body for all. This year, about 15,000 people—nearly half of them children—will come to our Y to learn, grow, and thrive. Of this number, we will provide financial aid to over 3,000 individuals with a cost of over $200,000. This year our goal is to raise $170,000 through our Coach A Child Scholarship Fund Campaign. We count on the generosity of our members and partners to keep our doors open to whoever needs a place to go to help them be more healthy, confident, connected, and secure. Find out how you can help by calling, stopping by any branch, or by donating online. We seek to make our services available to all persons regardless of ability to pay. Scholarships are available to those living in Autauga County and the city of Prattville. This assistance is made possible thanks to the support of sustaining contributors and the United Way. Please call Kathy Asbury at 365-8852 for more information.